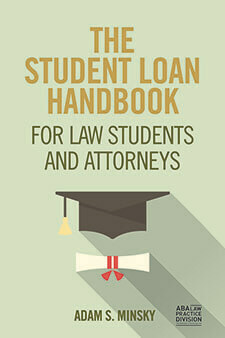 So for someone thinking about filing for bankruptcy, what can be done with your student loans? 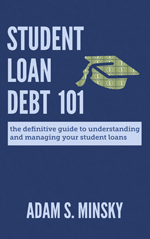 There may be ways of discharging your student loans without relying on the bankruptcy process. The statutes governing federal student loans provide several special circumstances where these loans can be completely cancelled. For instance, if you are unable to complete your educational program because your school closes, it may be possible to discharge your federal loans. You may also be able to cancel federal student loans if your eligibility was falsely certified by your school. Forgery and identity theft may also provide a basis for cancellation. These options, and others, should be explored thoroughly. If you cannot discharge your student loans, you may still have options available to you, provided your loans are not yet in default. Federal student loan borrowers who are experiencing unemployment or economic hardship may be able to postpone or reduce their payments for a significant period of time. 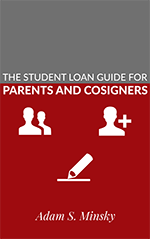 Private student loan lenders have been known to be relatively less accommodating, but it is still possible to negotiate individual temporary agreements with private lenders for lower payments. If you’re in financial trouble and thinking about bankruptcy, temporarily postponing or reducing payments can be a huge help until you get back on your feet. In addition, loan forgiveness programs may be able to assist you in eliminating your student debts or making your payments more manageable. Recently, the U.S. government passed a law that permits federal student loan borrowers who work in public service and participate in specific repayment plans to have their entire remaining federal student loan debt forgiven after 10 years of on-time payments. For federal student loan borrowers who do not work in public service, remaining federal student loan debt would be forgiven after 25 years of on-time payments. This is a potentially significant option for millions of borrowers. For assistance with private loans, many educational institutions- particularly graduate and professional schools- and some employers offer their own loan forgiveness programs to help graduates make monthly payments. Even if your student loans are in default, you have some options. You may be able to combine all of your federal student loans (including those in default) into a new, single federal consolidation loan with a repayment plan that caps your monthly payments at a percentage of your income. This means that no matter how much you owe, you won’t pay more than a small fraction of your monthly pay. Alternatively, if you make a certain number of timely payments on a defaulted federal loan within a specified period, you may be able to “rehabilitate” that loan, effectively getting it out of default. Once out of default, the options I described above (such as reducing or postponing payments) may be available to you.